Branding Ageing Better Middlesbrough | Better Brand Agency. As an agency that sits in the heart of Teesside, we absolutely love to get stuck into projects that benefit the community and help it to thrive. 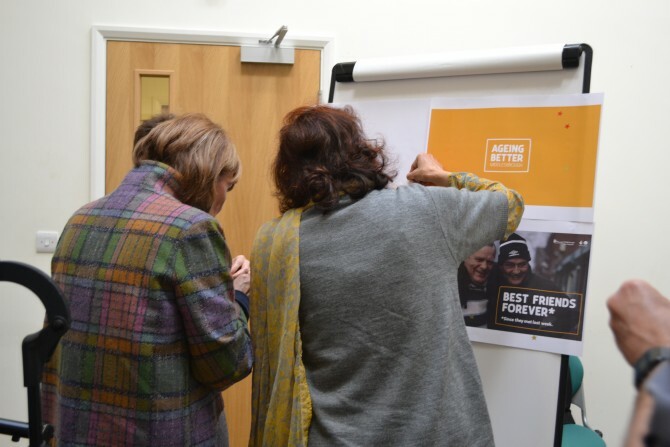 With this in mind, we’d like to share our story of the logo and website design and development work we recently completed for Ageing Better Middlesbrough. 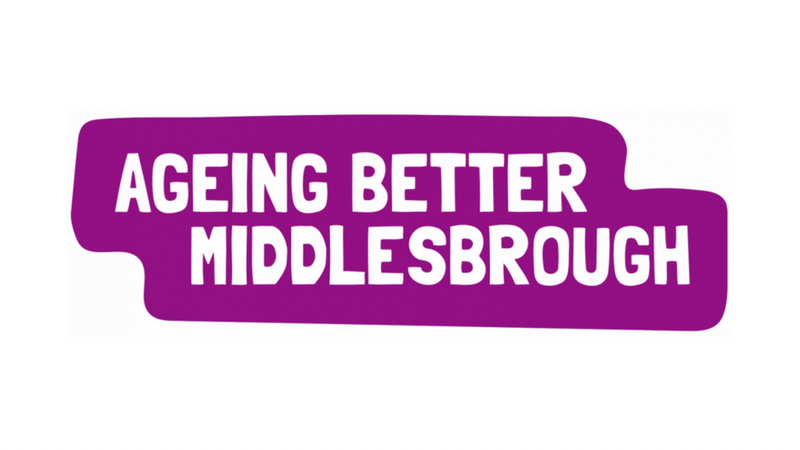 Lead by Middlesbrough and Stockton Mind, Ageing Better Middlesbrough is a six year, £6 million programme that is working to reduce loneliness and social isolation for people aged 50 and over in Middlesbrough. Ageing Better Middlesbrough came to us with a proposal for creating a brand for them in the way of a logo that will resonate with their target audience, and a user-friendly website to inspire current and future generations to lead active, healthy and happy lives. 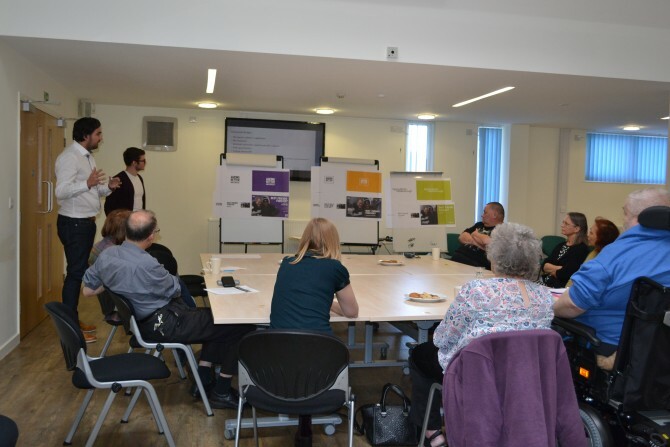 As part of the process we conducted collaborative focus groups with a dedicated committee made up of individuals from the programme, older members of the Ageing Better Middlesbrough Advisory Group and a group of volunteers from the community. The main findings of the focus groups shaped the project and helped to establish what both the programme and their target audience wanted from the branding and the website. They outlined their specific likes and dislikes in a brand, demonstrated to us the logos they could relate to themselves, and the logos they really didn’t warm to. 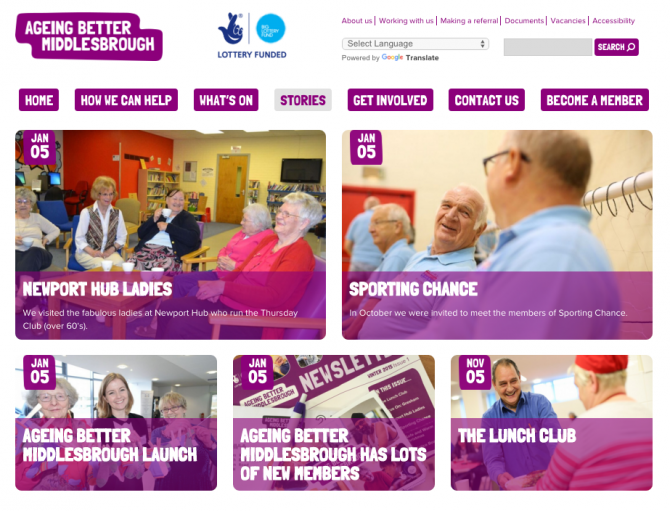 Ageing Better Middlesbrough branding focus group. Their brief incorporated their own vision of the brand, including the portrayal and values of the programme, which also explained the importance of their communications and what it means to the outward community. With this, we were able to create a distinct brand that had a clear and consistent approach so that beneficiaries and the local community would always recognise it. We were also able to design a logo that exuded feelings of trust, confidence, security and inspiration. Trust and loyalty were key elements of their requirements, which was fulfilled and delivered in typography and colour within their final logo, of which needed to be both friendly and authoritative in look and feel. As well as conceiving a logo and brand guidelines, including typography through a collaborative and energetic branding process, we also designed and developed their online offering, which is now their hub for information about the programme. The approach to designing their website was also of similar nature, in that we worked together, including members of the community that mirrored their target audience, to see what type of websites they were fond of, and which they weren’t. Through this exercise we were able to develop a platform that was to their exact requirements, which is what we always try to do through extensive scoping meetings and usability testing. Their website incorporates the modern look and feel that they outlined in their brief, but also encapsulates the trust and loyalty which was imperative to their overall branding project. Broken down into key areas on the website, from a ‘What’s On‘ guide, where individuals within the community can find events that are suitable to them, to a ‘Stories’ area, where groups within the community such as the ‘Newport Hub Ladies‘, the ‘Sporting Chance‘ guys and ‘Lunch Club‘ people can share their tales and encourage others to get involved. 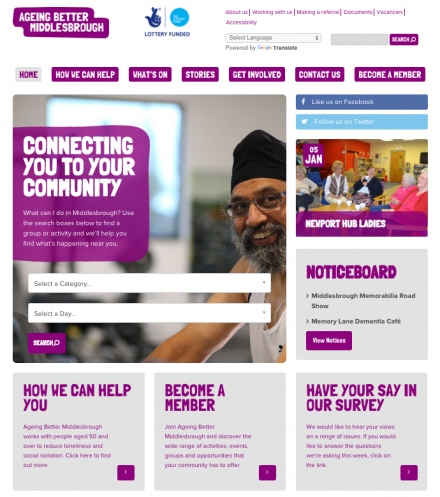 As well as these pages which help to engage, the site also features important pages that share information on key projects such as ‘1 to 1 Support‘ and ‘Digital Inclusion‘ support, as well as ways to get on board in the way of volunteering and membership. “For us, this was such a rewarding project for the team to get their teeth into, and after receiving tremendous feedback from the guys at Ageing Better Middlesbrough, we are so glad that we could be involved. This is a programme that is close to our hearts and we are honoured that we could make their vision happen, ensuring that they can continue with their awesome work within the community. – Mark Easby, Managing Director at Better. – Rebecca and Sarah Jane, Communications Team at Ageing Better Middlesbrough.